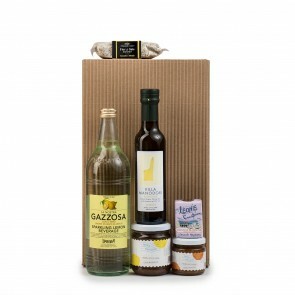 Giovanni Ponti, known to his friends and family as “Giovanni dell’Aceto” (think: the Johnny Appleseed of vinegar), started making his own balsamic vinegar in 1867 in his home region of Piemonte. 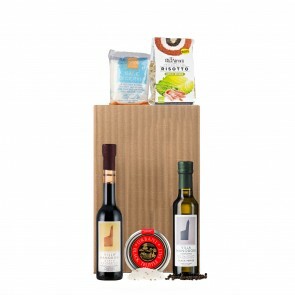 Share a taste of that same impeccable taste and high standards with our gift box filled with Ponti vinegar, preserved vegetables, and more. 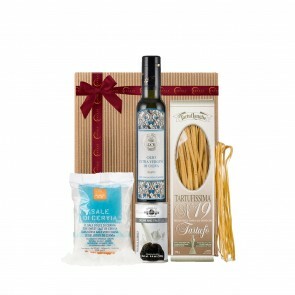 This collection includes Ponti: Genovese Basil Pesto, White Wine Vinegar, Sweet and Sour Onions, Small Artichokes with Herbs in Oil, Glaze with Moscato Grapes, and a signature Eataly gift box.